Whether you’re ready to soak up some history or learn about the mysteries of deep space, the nation’s capital abounds in fun activities to keep you occupied. Caravanning Australia shares its top three things to do in Canberra and surrounds. Boasting 94 forests full of rare, endangered and symbolic trees from all over the world, the National Arboretum is a nature lover’s delight. Discover an astounding array of botanical beauty across the 250-hectare site – by foot, by car, by bicycle or even by horse! Be sure to pay a visit to the National Bonsai and Penjing Collection, which features living artworks and miniature forests created by some of Australia’s greatest bonsai and penjing artists. Free tours of the different collections are available (guided or self-guided), and you can also enjoy the outdoor sculptures and barbecue areas boasting great views over Canberra. 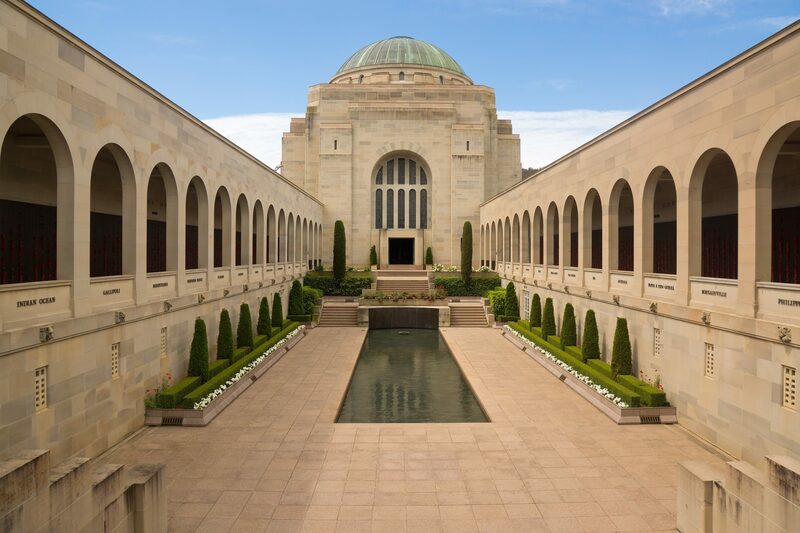 The Australian War Memorial is a fascinating combination of shrine, museum and archive – and visitors to the capital consistently rate it as one of the top attractions to see. The memorial explores the individual and public histories of conflicts that Australia has been involved in, including World Wars I and II, the Vietnam War, the Korean War and several others. The silent, solemn heart of the memorial is the Hall of Memory, where you can stand by the Tomb of the Unknown Soldier. Visitors must walk past the names of 102,000 people who have given their lives in service of the country to get there, making it a poignant experience. Be sure to stay until 4.55 pm, when the daily Last Post Ceremony is performed. Lock eyes with some of the nation’s most interesting artists, musicians, entertainers, sports people and politicians at the National Portrait Gallery. More than 400 famous faces can be found here, including Nick Cave, Ned Kelly, Geoffrey Gurrumul Yunupingu, Quentin Bryce, Cathy Freeman, Patrick Dodson, Tracey Moffatt, Jack Charles and many more. Interesting biographical notes accompanying the portraits add insight to the story of Australian history, creativity and culture, in all its diversity. There are also many examples of portraits using new media in the gallery, such as Warwick Thornton’s portrait of Paul Kelly and David Rosetzky’s video depiction of Cate Blanchett. To walk through the gallery provides a good reminder of the flexibility of the genre, and gives visitors the opportunity to connect with the lives of others, and reflect on their own lives.